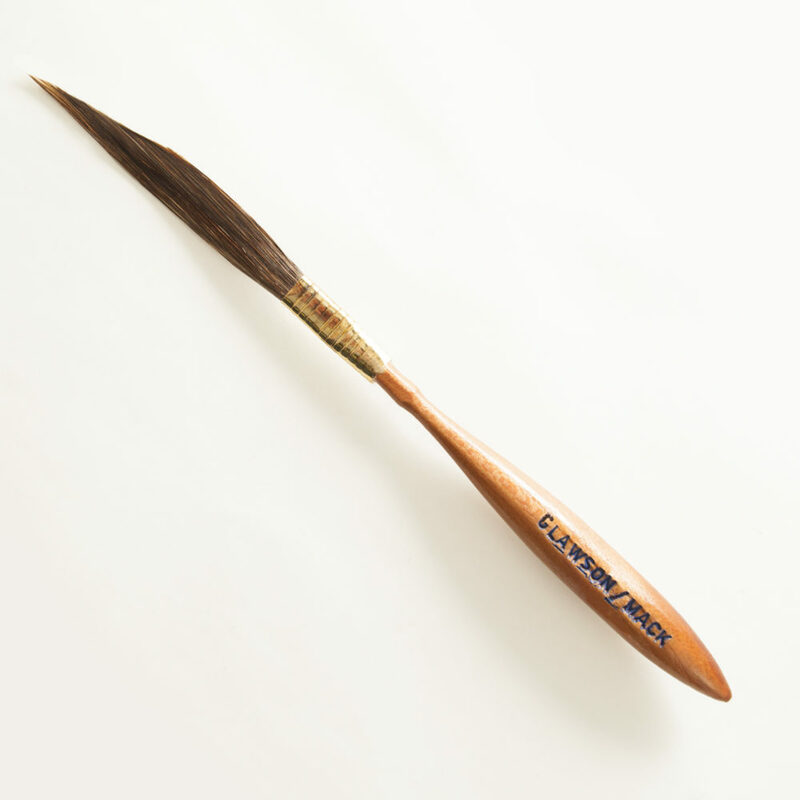 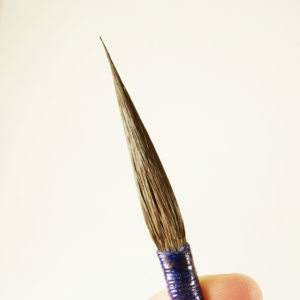 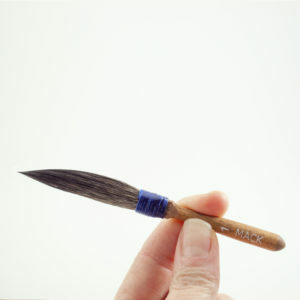 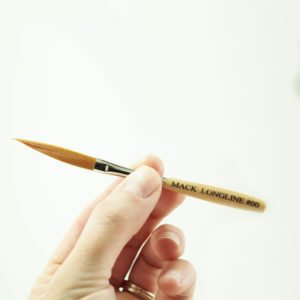 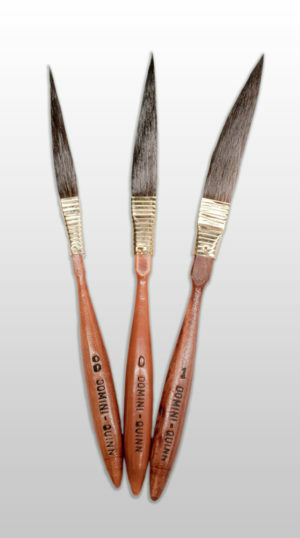 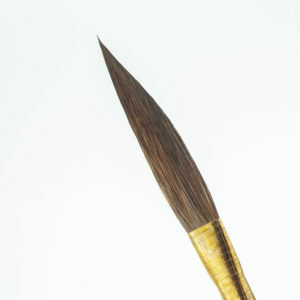 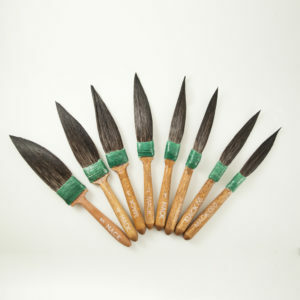 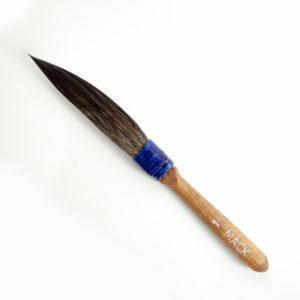 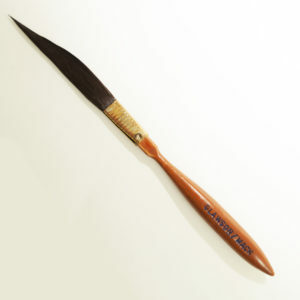 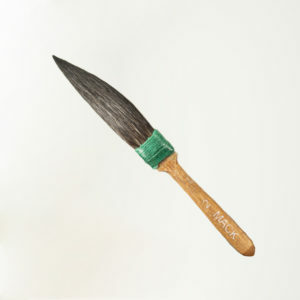 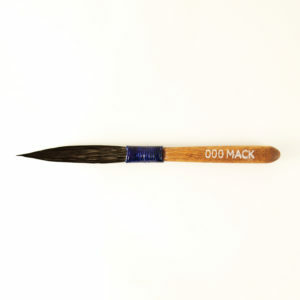 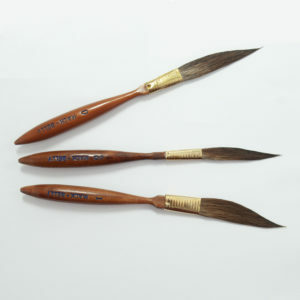 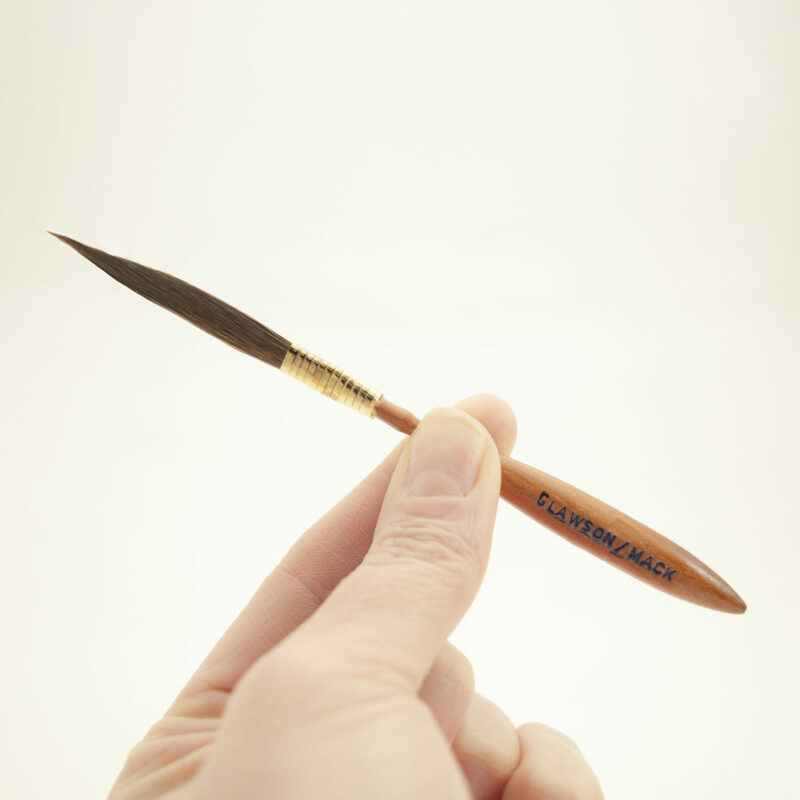 This brush is shaped like a Fast-Lite Striper, but with a hair mixture of squirrel and brown taklon for more body and snap. 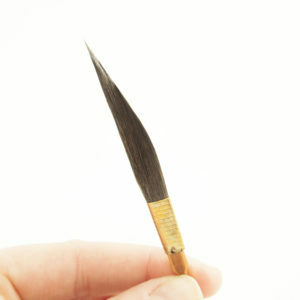 Available in #00 with a hair length of 2 1/4. 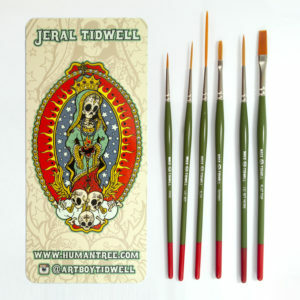 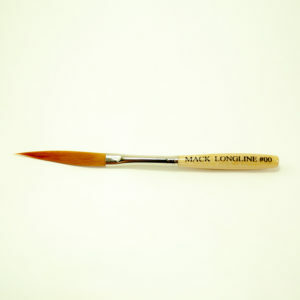 Also, good for water base paint or any other paint that is more dense than lettering enamel.